Ready for more puzzle-matching madness? 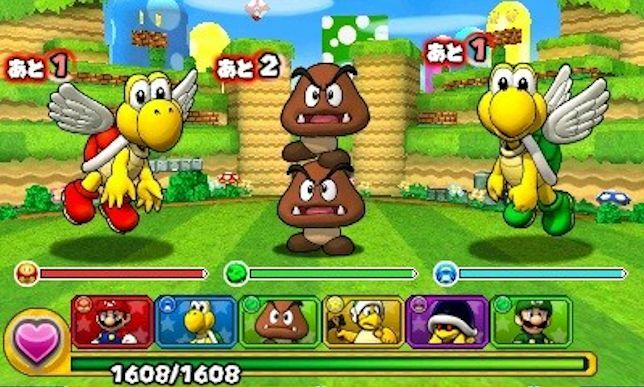 Did you totally dig the Puzzle & Dragons: Super Mario Bros. Edition, or the regular version of Puzzle & Dragons on your phone? Got a 3DS? There's another version of the game coming soon, to be announced at tomorrow's Japan Nintendo Direct! The details were announced in the latest issue of CoroCoro Magazine, and while there's a scant amount of information going around right now, we'll almost certainly be hearing more about it in the coming days. Hopefully it'll involve even more Nintendo properties, especially with Nintendo gearing up for mobile games and other bite-sized releases in the future.